Home This Week's Edition Advice Mindbiz: Bossy Bride or Meddling Mom? 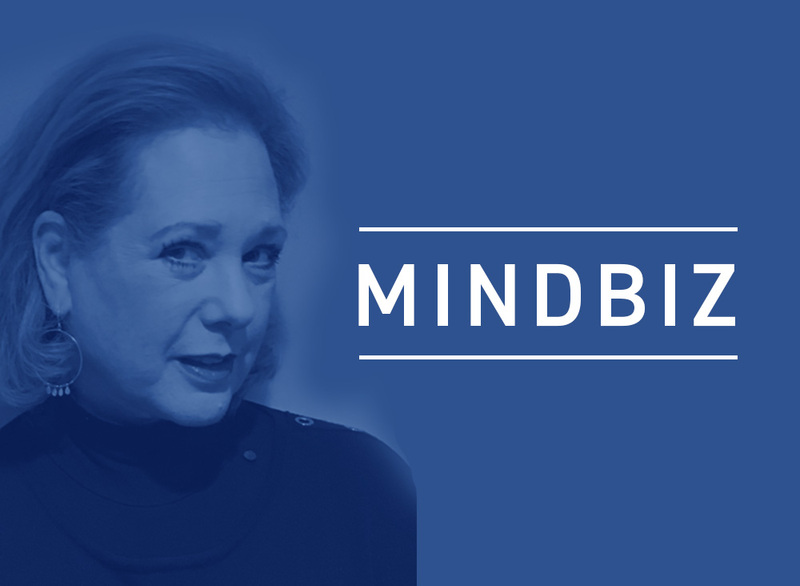 Mindbiz: Bossy Bride or Meddling Mom? 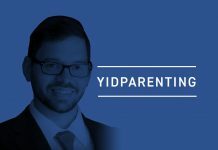 My 23-year-old son, Moshe, got married less than a year ago, and I don’t recognize him anymore. He is tall, handsome, and smart, and has always been confident and very sure of himself. I guess the best way to describe him is that he’s “his own person.” Though he was a good, respectful son, my husband and I knew that if we wanted him to do something that he really didn’t want to do, it was a losing battle to try to force him to cave in to our wants. Years ago, all his friends were joining Little League, but there was absolutely nothing in the world we could say to change his mind so that he would join his friends. He just had no interest in Little League and knew his own mind well enough to not be pressured into something that didn’t appeal to him. This came up again when it was time to determine what yeshiva he was going to attend in Israel. The majority of his friends went to one yeshiva, and he decided he really wanted to go to another one. We knew they were both good places, but still, we thought he’d be happier going with most of his friends. But again, he made up his mind, and that was that. And it turned out to be a very good choice for him. What’s happening now is that ever since he got married to an apparently very controlling woman, we hardly recognize Moshe anymore. Moshe is literally a foot taller than Leah, and, I think, much more impressive in certain ways, and yet when Leah says something, Moshe jumps. It boggles our minds how this independent, sure-of-himself young man now acts at the whims of his wife. If they are visiting us and Leah says, “Let’s go. It’s time to go home,” Moshe is up and out the door. If Leah says they are not coming for a Shabbos, even though we haven’t had them for a few weeks, there is no talking him into coming. Leah has spoken. She’ll even go as far as to tell Moshe what he should and shouldn’t eat! When they do come over, I prepare the foods that have been Moshe’s favorites for years. Now Leah might say something like, “I don’t think you need another piece of kugel. One piece is enough.” Moshe is a slim, tall man. If he wants two pieces of kugel, who is Leah to tell him not to eat it? But he listens to her, and it makes me crazy to watch! Or she’ll tell him to pass on dessert! Since when can a thin man not have dessert on Shabbos? It’s ridiculous. I really don’t know who Moshe is anymore. Where did this strong, confident, “don’t tell me what to do” person go, and how is he so OK about putting his own needs on the back burner so that he can accommodate his wife, who thinks it’s her business to comment on just about everything? This is not the type of relationship he observed growing up. My husband and I certainly share our opinions with each other, but we always respect the fact that we sometimes don’t agree, and respectfully allow each other to follow our own hearts. Not only are we no match for Leah’s ideas, neither is Moshe. He defers to her constantly and about everything. It’s very hard for us to watch our son being so controlled. He hasn’t complained to us about her, but I have to believe that this is such a shock to his system after being in control of his every move his whole life, and I’m guessing it must be difficult for him to tolerate. We’re not sure what to do about this situation. My husband thinks we should say something to Leah and confront her on her bossiness. I think we’re better off talking to Moshe about his marriage and telling him that we see how hard it must be for him to be married to someone like Leah and maybe suggest they see a marriage counselor or do something so that he can take back his own power. We both feel really badly for him, and it’s so upsetting for us to see this little woman control every situation around her. What do you think our next step should be in order to help Moshe? I’m hearing that you and your husband are observing a scene play out again and again between your son and daughter-in-law, and what you’re watching makes no sense to you, is very upsetting, and, in general, doesn’t feel right. 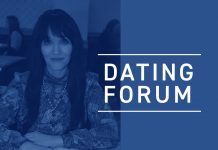 You’re anxious to insert yourself into this dynamic in order to right the wrong and help Moshe and Leah get on track with a marriage that more closely resembles your idea of a functional, happy one. What I’m not hearing is that Moshe looks or acts unhappy. I’m not hearing that you see the two of them arguing over who’s right and who’s wrong. It doesn’t sound as though you’re observing tension between them. Rather, you’re observing Moshe acting kind of wimpy. Since this behavior, besides not reflecting his former self in the least, also does not resemble your marriage to your husband and your ideas regarding what a healthy marriage should look like, it’s understandable why you and your husband would feel concerned. It sounds as though Leah is bullying Moshe somewhat, and she has the first and final words on just about everything. What none of us can know for sure, though, at this point, is whether Moshe is relishing his new role of being a follower rather than a leader and whether he does, in fact, enjoy the feeling of being married to someone who is in charge of most of the decisions to be made within their marriage, large and small. Maybe, for the first time in his life, he’s decided that he’s met someone who knows better than he what makes sense and he is more than happy to be compliant with this arrangement. If that’s so, and your main concern is whether or not Moshe is happy in his marriage, it’s too early for you to go there. Your suspicions could be right and he could be miserable, but at this point, you have no actual proof to confirm those suspicions. Additionally, you are no doubt distressed over the fact that what you and your husband want is no longer very relevant in the actions Moshe and Leah take. Though you write that you didn’t have enormous power in influencing Moshe’s choices, it doesn’t seem like there is room for any of your influence or ideas to be particularly meaningful at this point. Each marriage is unique unto itself. What works beautifully for two people may be the kiss of death for another couple. Some women want to be in charge and some want to be taken care of in every sense. The same goes for husbands. As a marriage progresses, roles, acceptable behaviors, responsibilities, expectations, etc., get tweaked along the way and, ultimately, like a fine-oiled machine, it runs beautifully if everyone is on board with his or her specific roles and expectations. Moshe and Leah are newly married. They are testing out their relationship and seeing what works and what doesn’t work for the two of them. It takes some time for each person to understand what feels right and what will never fly. Hopefully, if they have good communication, together they will figure out where lines should be drawn. Your suspicions may be right and Moshe may not be getting what he wants. But it’s hard to know for sure and, at this point, unless you are approached by your son and asked for guidance, I suggest you respectfully allow them to figure things out and work things through on their own. Ultimately, you may never appreciate the way the two of them interact. But if it’s good for them, it will have to be good enough for you, even if your personal needs don’t necessarily get met. For now, the best advice I can give you and your husband is to not look too closely. As parents of married children, we don’t always have to (or want to!) see everything, and so we shouldn’t. Allow things to play out, and should your advice ever be requested, I know that you and your husband will not shy away from steering them in the right direction. Previous articleThe Way It Is: Do Jewish Members of Congress Have Laryngitis?